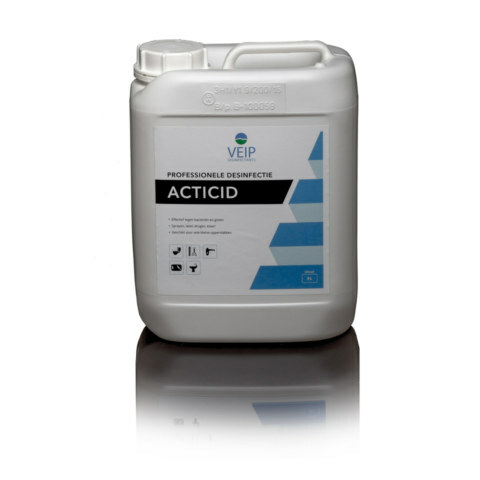 Acticid is an effective disinfectant based on 76% denatured ethanol (alcohol). It can be used for disinfection of small surfaces (door knobs, toilet seats and boots), for example in the food-industry, healthcare, cosmetic- and veterinary sectors. It can be used everywhere in order to deal with undesirable micro-organisms. 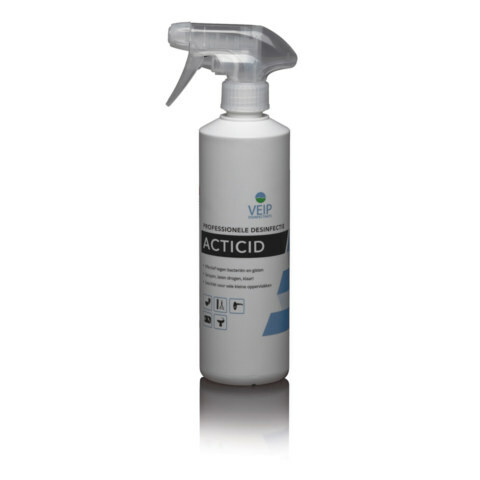 Acticid is easy to use: spray, let dry, done! Rinsing is not necessary. The effectiveness is guaranteed by the high percentage of ethanol, which has proven its effectiveness against bacteria and yeasts. Acticid ensures that the microorganism is irreparably damaged (the ethanol causes a coagulation reaction in the organism (clotting reaction). Resistance is therefore not possible. Use biocides safely. Before use, read the label and product information. Available in 500 ml spray bottle and 5 liter package.